Up, up and away! 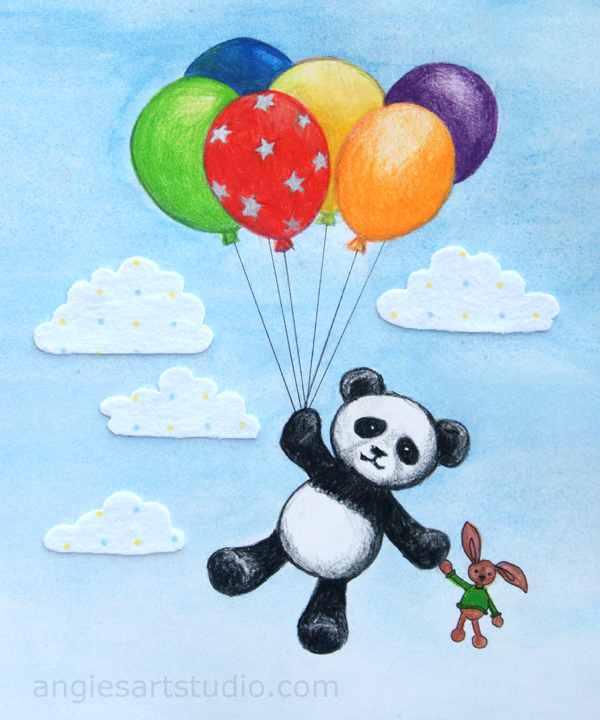 Pablo the Panda is being carried away by some bright colourful balloons he bought at the Del Mar Fair. He’s also taking Bobo the Bunny along for the ride! This unique picture would look lovely in a nursery for a boy or girl and is available as an instant download at my Etsy Shop. The original artwork is a mixed media of watercolor, colored pencil and collage and is based on my crochet of Pablo the Panda.